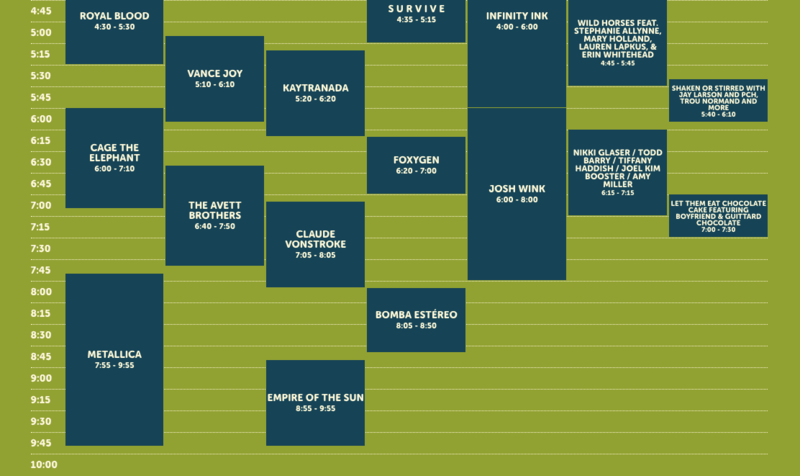 Has anybody warned the tourists about steering clear of Golden Gate Park next weekend? Because otherwise they’re going to be in for a big surprise. That is because the tenth anniversary Outside Lands Music Festival takes place next weekend, Friday, August 11th, through Sunday, the 13th. 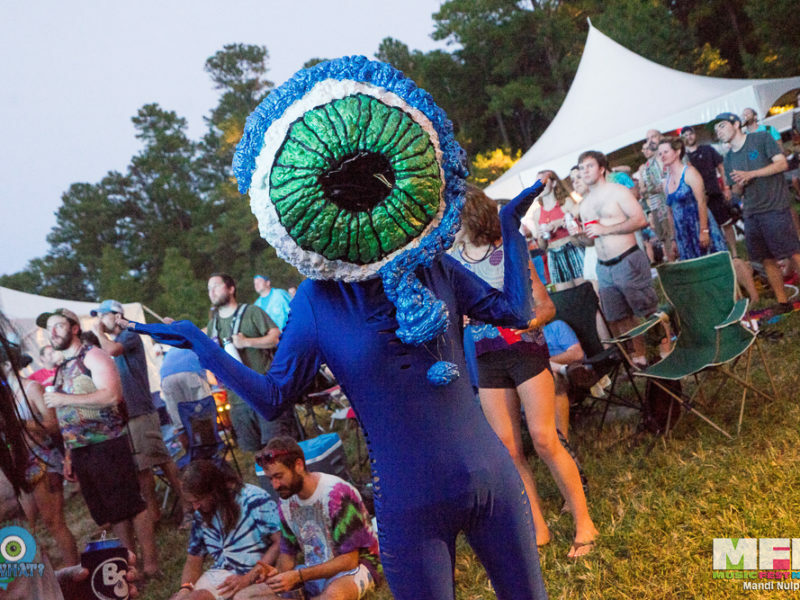 With more than 120 sets and workshops scheduled for the three days, the park will be filled to overflowing with music fans of all stripes. There are seven stages (including Gastromagic!) 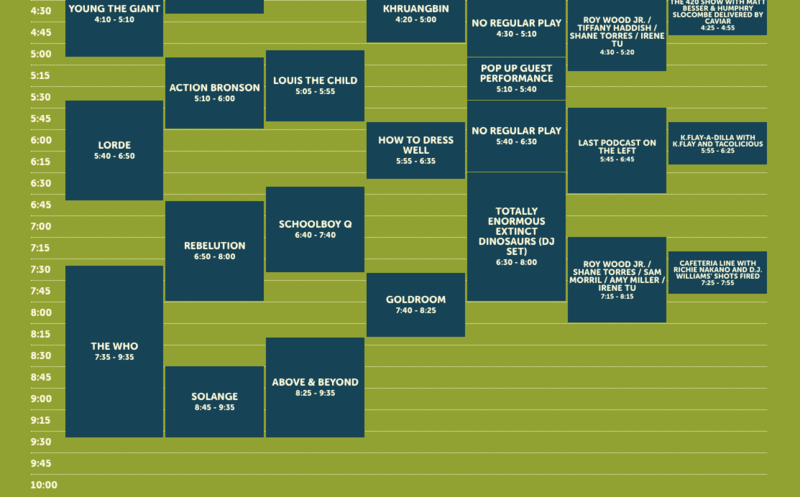 with a wide range of genres spread throughout the weekend. There are more than three dozen events each day. Let’s take a look. Gorillaz. Fleet Foxes. A Tribe Called Quest. What else do you really need to know? Of course there’s more! 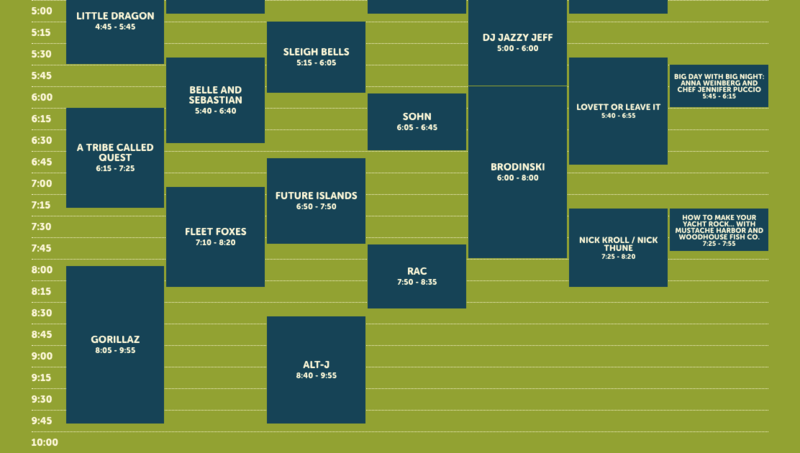 Alt-J, Sleigh Bells, Little Dragon, Shovels & Rope, and Porches are on the bill. 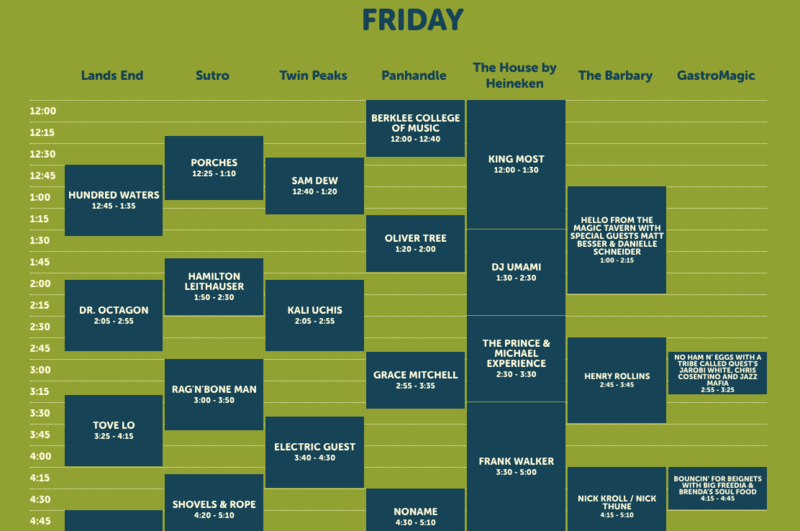 Berklee College of Music and King Most start the fest at noon on the Panhandle and House of Heineken, respectively. You can see DJ Jazzy Jeff, Brodinski and No Name. 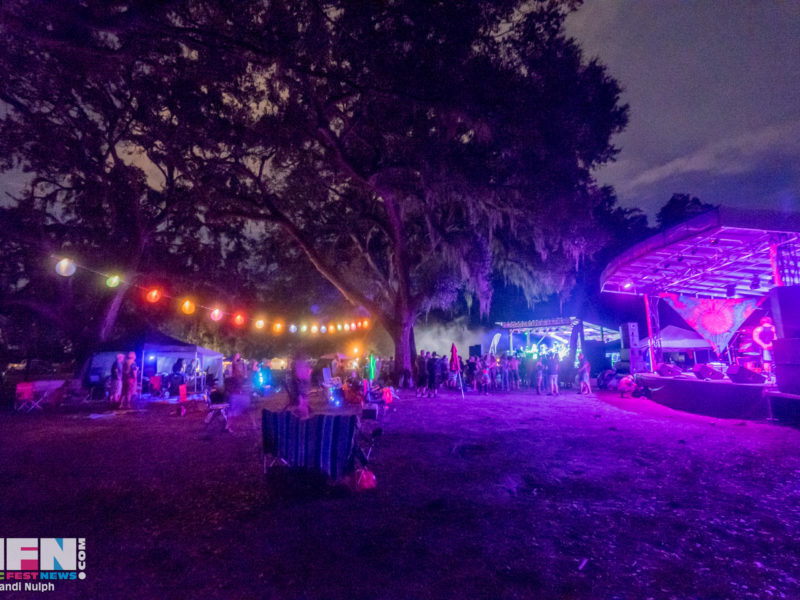 Henry Rollins performs, and you can attend Bouncin’ for Beignets with Big Freddia and Brenda’s Soul Food. Same sensational music, different day. 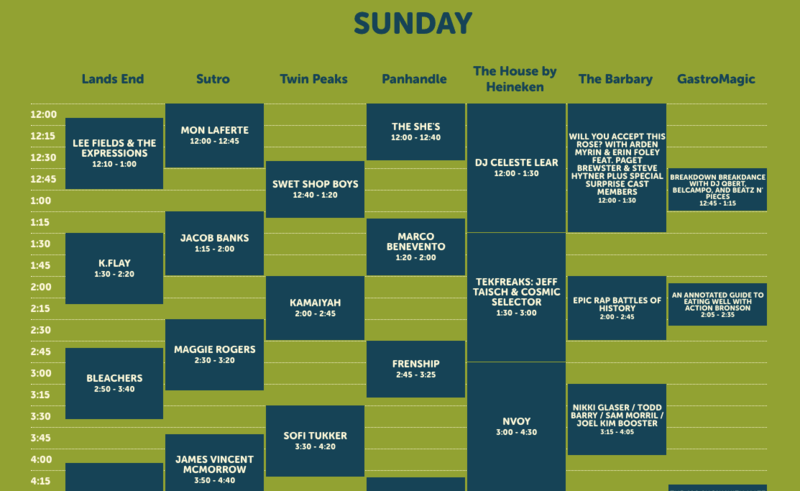 The three main stages — Land’s End, Sutro, and Twin Peaks — are full of Metallica, Dawes, Cage the Elephant, Claude Vonstroke, and The Avett Brothers. 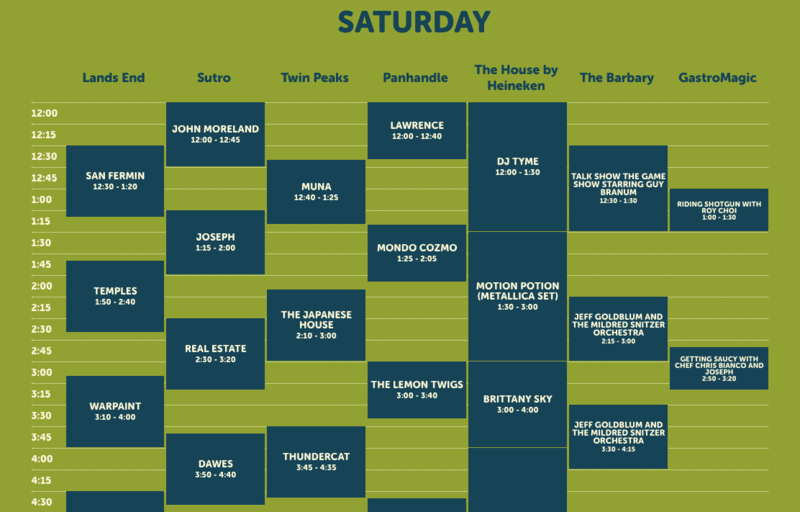 Kaytranada, Thundercat, Temples, Lawrence, and Empire of the Sun are there to delight. DJ Tyme entertains, as do The Lemon Twigs, Infinity Link, and Joseph. You can catch two sets of Jeff Goldblum with The Mildred Snitzer Orchestra on The Barbary stage. Perhaps you’d like to Get Saucy with Chef Chris Bianco and Joseph. If you aren’t convinced yet, we’re not sure that The Who, Lorde, Young the Giant, Solange, and Louis the Child will change your mind. But if you do, you’ll also get Action Bronson, Rebelution, Marco Benevento, Lee Fields & the Expressions, and the Sweet Shop Boys. Satisfy your intrigue about Epic Rap Battles of History, How to Dress Well, and Last Podcast on the Left. Oh, and An Annotated Guide to Eating Well with Action Bronson. In the meantime, somebody alert the tourists. Maybe they’ll join you at Outside Lands.